Eset, security software provider better known for its NOD32 antivirus application, has recently released version Beta 4.0 of its Smart Security software. Smart Security is a full-service security solution that encompasses the antivirus protection offered by Nod 32 as well as a firewall and a spam filter. You can download and run Smart Security Beta 4.0 for 32-bit processor machines as well as 64-bit ones. “ESET has been a pioneer of a proactive detection which is not based on a previous knowledge of the files, but rather, it's based on how it behaves, either via e-mail or Web site browsing or any other vectors of attack. I believe the biggest success we have accomplished is that we stayed focused, which allowed us to sustain the growth of the company,” comments Anton Zajac, President and CEO of Eset. There are several new features to get excited about in this 4th Beta installment of Eset’s Smart Security software: Windows Live Mail and Mozilla Thunderbird now get enhanced Eset support; SSL-encrypted HTTPS, POP3S traffic, and IMAP downloaded messages scanning; the SysRescue and SysInspector modules now come integrated with Smart Security; enhanced detection for malware that runs when you boot up your machine; and a few others. According to Randy Abrams, Director of Technical Education with Eset, you are very well advised to download and put the software to the test, but it would be best not to use Smart Security Beta 4 on production systems. As is the case with Betas, they have the tendency of not being very stable. Eset has been tackling viruses, spyware, adware, Trojans, and other malware threats that you can expect to encounter in your day to day internet use for about 16 years now. The company was founded back in 92 when two privately owned security companies decided to join forces in the fight against hackers, attackers, and malware spreaders. 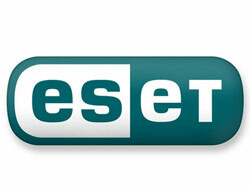 If you would like to get Eset Smart Security Beta 4.0, a download location is available here.